The Normandy American Cemetery and Memorial in France is located on the site of the temporary American St. Laurent Cemetery, established by the U.S. First Army on June 8, 1944 as the first American cemetery on European soil in World War II. 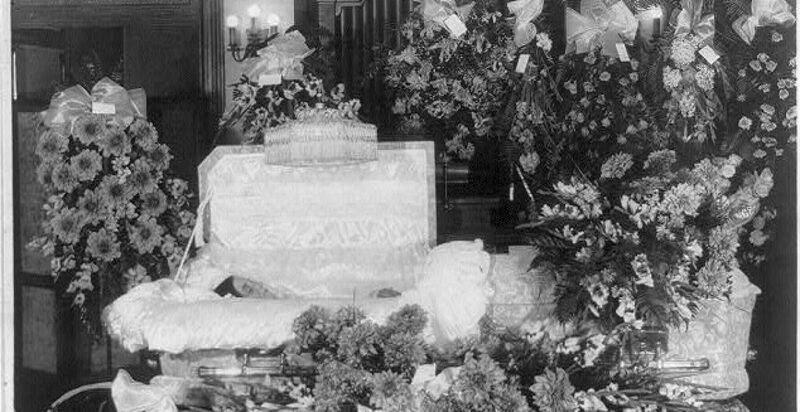 Banking titan John Pierpont (J.P.) Morgan died in 1913. In his honor, the New York Stock Exchange did not open until noon on the day of his funeral. He is entombed in the family mausoleum in Hartford Connecticut’s Cedar Hill Cemetery. (Courtesy of Library of Congress).